Multiple closed doors. Relationship breakdowns. Growing frustration and disappointment. Are you trying to make sense of your struggle? He who sees the end from the beginning is here to tell you, "It is good!" When our breakthroughs delay, when we encounter closed doors, when we try our best and still nothing seems to be going our way, we can be left feeling frustrated and confused. Maybe today, you’re questioning, "What am I doing wrong? Where is all this going?" My friend, if you can see no way out of your situation, if all you can see is your struggle, God wants to give you a fresh perspective of His heart of love for you!  The Word of God says that His ways and His thoughts are far higher than ours (see Isa. 55:9). They are better than anything we can imagine. I know it's difficult to see how the broken pieces of your situation could ever be mended. But God wants you to know that He is piecing them together into a beautiful picture of His grace. You don't have to have it all figured out. He who sees the end from the beginning is here to tell you, "It is good!" So, stop doubting, and start trusting! 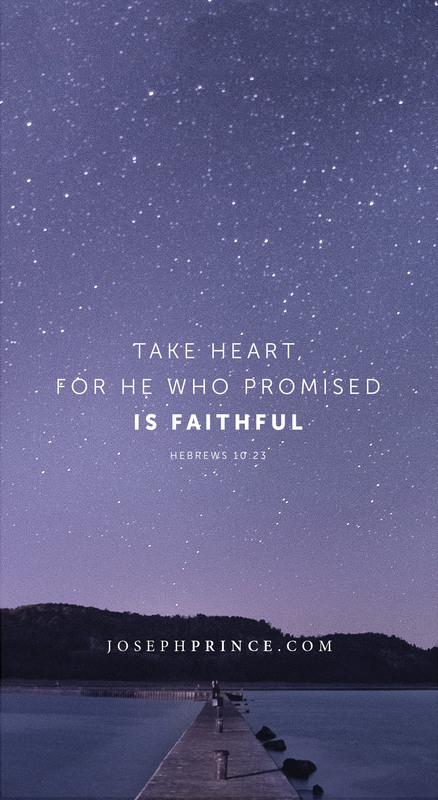 If God has already given you Jesus—heaven's best—He will not hold any good thing back. 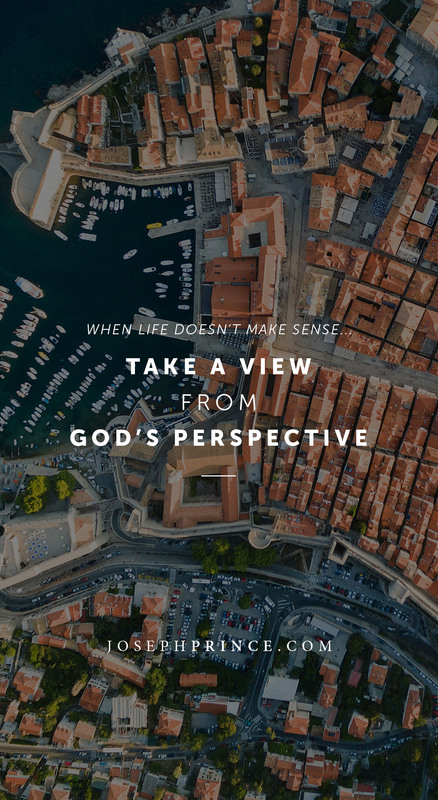 Discover God’s perspective and glorious plan for your life in Joseph’s latest series, When Life Doesn’t Make Sense. We have a God who specializes in divine turnarounds! Has life ever thrown you a curveball? Has a sudden turn of events left you shaken and lost? Perhaps an unexpected circumstance at work has you worried and stressed about your finances. Maybe you’re experiencing challenges you never thought you'd have in your relationship. Setbacks are painful, frustrating, and leave us at a loss as to what to do. But what’s more important than knowing what to do is knowing who to turn to. In the Gospels, every time someone brought a setback to Jesus, He always turned it into a set-up for His blessings and restoration to flow in that person’s life. When the sick were brought to Him, He healed them. Where there was lack, He multiplied 5 loaves and 2 fish to feed multitudes. When newlyweds ran out of wine at their wedding, Jesus turned water into wine and supplied more than enough for their wedding! My friend, we have a God who specializes in divine turnarounds! If you are experiencing a setback today, will you take some time to tell Him what you’re going through? He loves you and is working behind the scenes to make all things work together for your good (see Rom. 8:28)! 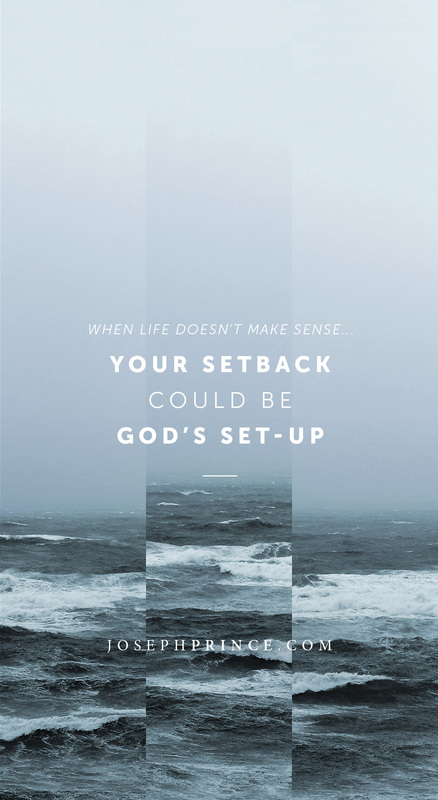 Find out how God could be turning your setback into a set-up in Joseph’s latest series, When Life Doesn’t Make Sense. He’s not just working on your challenge; He’s working on your character. God is building qualities in you that will set you up for greater success in life! Did you know that some of the frustrations we face in life are actually good for us? The Word of God tells us that when we run into problems and trials, they are actually building us up in endurance, character, and hope. My friend, God not only cares about how things turn out; He cares about who you become in the process. While He will never use sickness and disease, or accidents and mishaps, to teach us or develop us, what He does use are the frustrations of everyday life—closed doors, difficult people, unexpected delays. 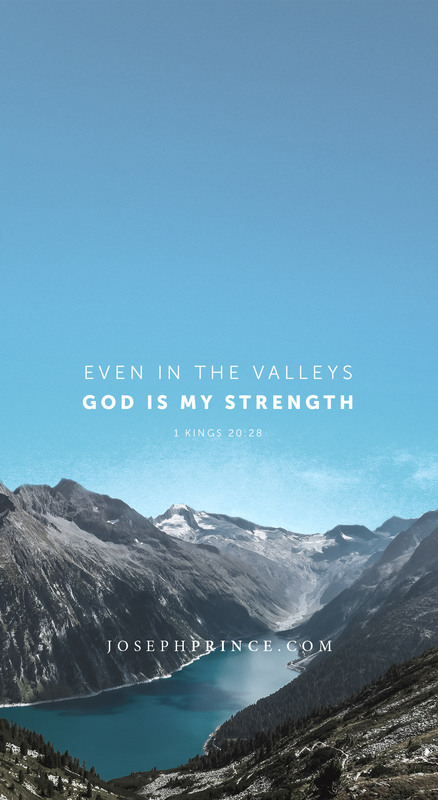 Through your difficulties, He is developing you into the person He made you to be—a person with wisdom, patience, resilience, and greater trust in Him. 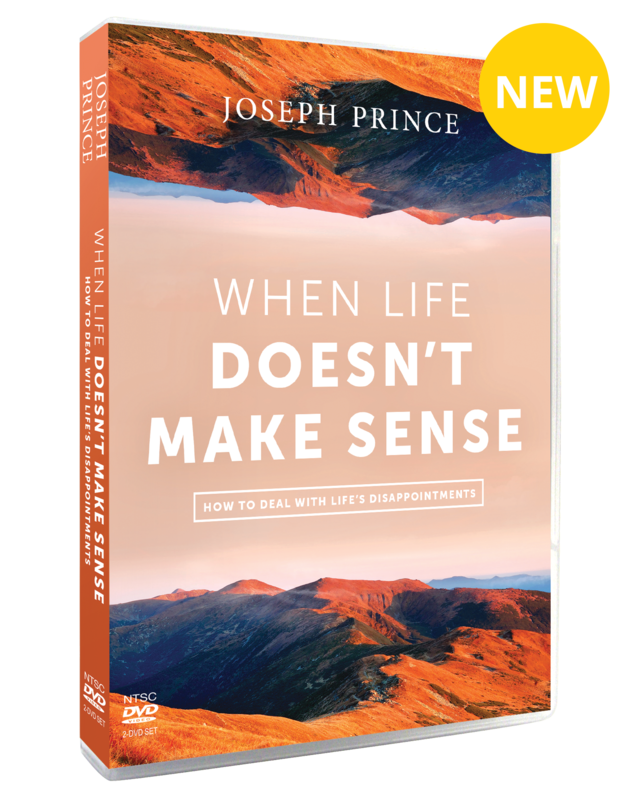 Find out how God could be strengthening your character through your challenge in Joseph’s latest series, When Life Doesn’t Make Sense. 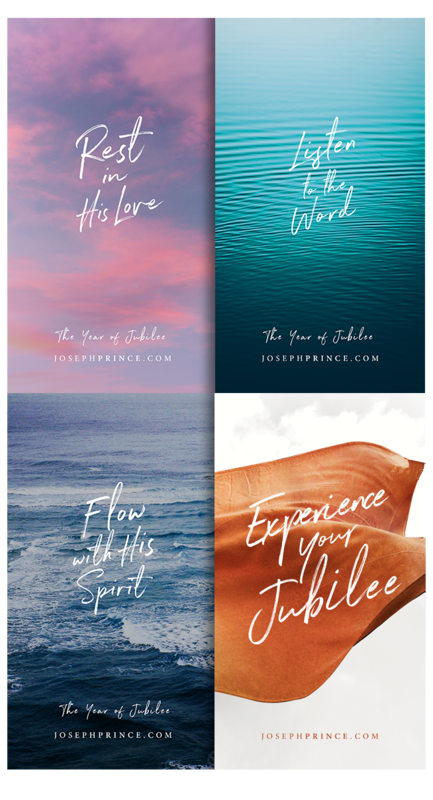 Pair Joseph’s latest series with this best-selling resource, Why Does God Allow Delays?, and learn how you can navigate through life’s struggles and disappointments with hope in your heart. See yourself seated with Christ and living life under His provision and protection.